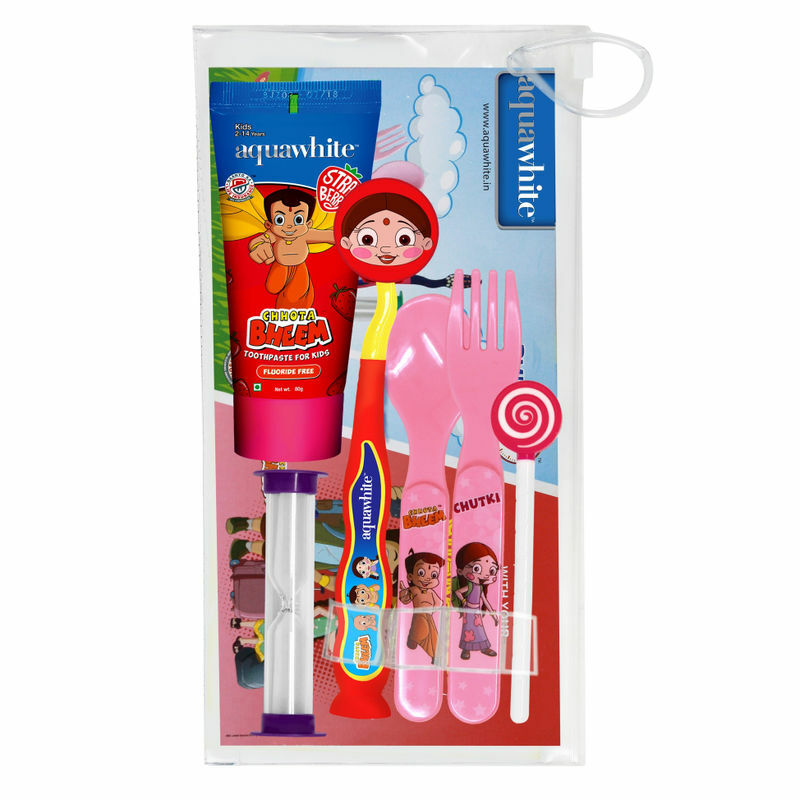 aquawhite Eat, Brush & Smile Chhota Bheem Strawberry Gift Pack will make a perfect interactive birthday gift for your child. An exclusive license holder of Chhota Bheem characters in India, aquawhite ensures that this gift set helps your child maintain his/her overall well being. It is a fun filled gift pack that comes in a reusable zipper pouch (24 x 12 cm) for both boys and girls. This gift set also has a cool game printed on the card. aquawhite Chhota Bheem Strawberry Toothpaste for Kids: Fluoride free toothpaste that’s safe for kids, even if they swallow it. Ideal for children from age 2-14 years.